With over 17,000 islands to choose from, it’s hard to know where to start in Indonesia. Luckily for you, we’ve short-listed some of the very best - and worst. Whether it’s sunset beaches and diving you crave, or a chance to pick up some souvenirs, this list will be your guide to the most popular destinations. It will be your map to the spots smuggling incredible experiences under the radar. And it will be your early warning system for landmines you should avoid. 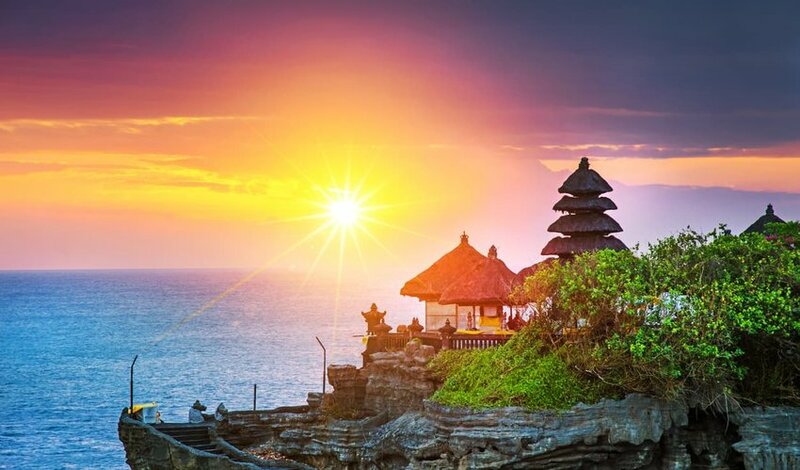 There’s a reason Bali is Indonesia’s number one tourist destination. Drop-dead gorgeous and packed full of everything from ancient temples to bumping nightclubs, this small island unfolds to create any type of experience you’d like to have. Throw yourself into the mix of beach bars, backpackers and Australian family vacationers in Seminyak and Kuta - though be wary of crowds. Check out Uluwatu (perhaps a classy eco-resort like Suarga Padang Padang) for a slower pace and more deserted tropical beaches. Or head into the hills for a yoga retreat or to immerse yourself in the vibrant art and culture of the Balinese tradition. Spend a week or two here and you could do it all - and don’t forget, all of these spots are within reach of world-class diving, surfing and snorkeling. Tuck your phone in your bag because you’ll want to experience these three little islands to the fullest... and because they all have rather limited internet access. Just a few hours by boat from Bali, the Gili Islands are well worth a visit. Each island has its own unique flavor, but they all give you ample reason to unplug. Gili Trawangan, also known as the ‘party island,’ is a backpacker’s paradise. Over 30 clubs are packed into its 3-kilometer span, but this isn’t anything like Downtown Miami. A 30-minute boat ride from Gili Trawangan is the paradise island of Gili Meno. Tropical seclusion is the name of the game here, and the beachside cabanas are the way to get it. The scuba diving and surfing here are excellent, but it’s also a perfect place to spend some quality time with your partner or get some space to yourself. The third island in this chain is Gili Air. Even quieter than Gili Meno, this tiny sand island is great for relaxing walks on the beach, followed by sunset gazing and maybe some live music at a local watering hole. 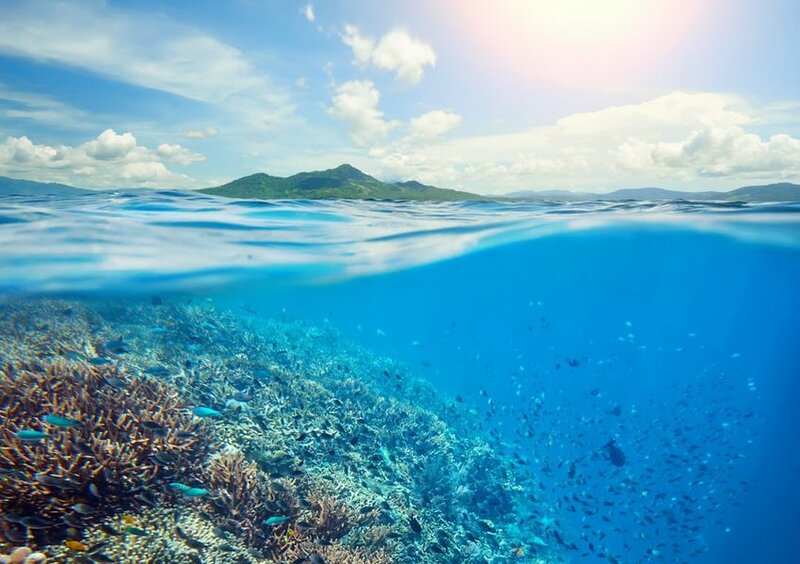 Home to the Bunaken National Marine Park, this north-eastern island is a holy grail for snorkelers and divers. An estimated 2,000 species of fish are tucked away in the reefs and dive spots here. That’s 70% of the species in the entire Indo-Western Pacific Ocean on display in the crystal clear waters of this single destination. And don’t go thinking this is for experienced divers only - dive spots range from beginner to advanced, and schools as well as resorts offer training for first-timers. What’s a colonial Dutch fortress doing in the tropics? Fiercely defending the world’s only supply of nutmeg and cloves. Though Ternate is now one of Indonesia’s more rarely visited hotspots, it used to be an international hub of the spice trade. Castle-like remnants of a mighty Dutch empire now rest alongside impressive mosques built later once the islands gained more independence. 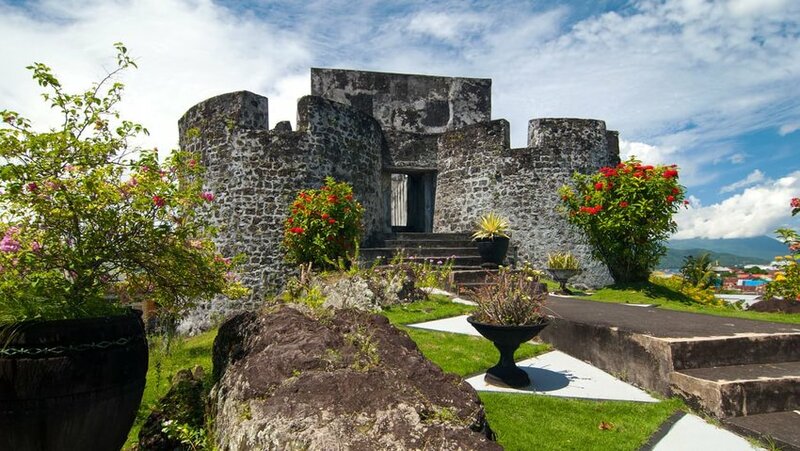 If history is your thing, you’ll love Ternate, and fall in love with the wild combo of medieval and tropical. Throw in the fact that Ternate is a gateway to the Maluku islands - a string of tourist destinations you can dive, beach hop, hike and party your way through - and Ternate is a solid addition to any Indonesian hit list. Here there be dragons! Yes, the world's largest lizards, aptly-named Komodo Dragons, roam freely throughout the prehistoric scenery of this island. But these scaly creatures aren't the only reason to visit. Pink sand beaches and coral reefs mean world-famous diving. 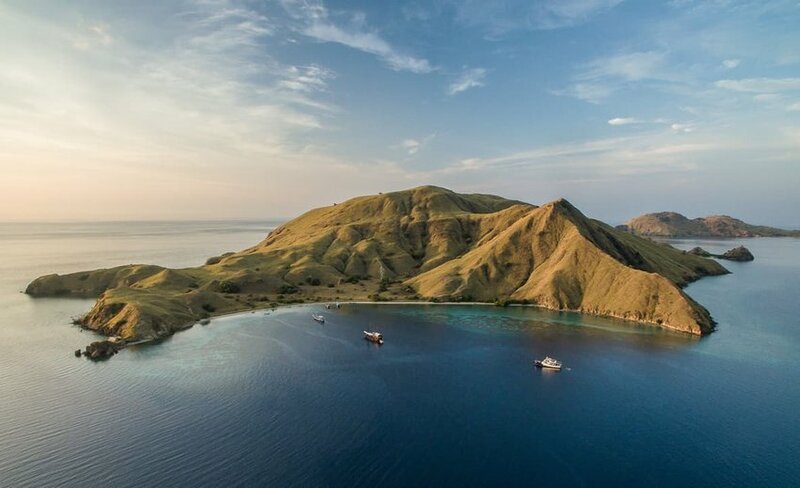 Komodo National Park is one of the New 7 Wonders of Nature (a global consensus reached by over 600 million votes). And numerous hikes and waterfalls provide particularly Instagram-worthy experiences. Capital cities often make the must-visit list for any country, but this is not true of Jakarta. Overpopulation, bad traffic, water contamination issues and an overall lack of tourist significance have created disappointment for many tourists not in-the-know. The surrounding island of Java does offer hiking, volcano exploration and beaches, but these pale in comparison to what’s available at the outlying islands. As we mentioned, there are over 17,000 islands in Indonesia. Not all of them are close together, nor are they all easy to get to. If you don’t plan your trip around one or two central hubs (Bali and Sulawesi, for example), you could get caught in a maze of boats, buses, vans and airplanes that will have you doing more traveling than sightseeing. That being said, Indonesia is a dynamite destination, and as long as you do at least some research on your main stops (reading this article counts!) you’ll have a blast.